Long story, short: Back in the 1800s, as French varieties came to the U.S. American varieties went to France. Some of the American cuttings that went to France carried a nasty pest, phylloxera, with them. The French vineyards had never been exposed to it before and it was devastating. These horrible, aphid-like critters began feasting on the roots, so damaging them that the poor vines gave up and died. The French vignerons didn’t know what to do. They tried flooding the vineyards. They tried the chemicals that were available at the time. Nothing worked. 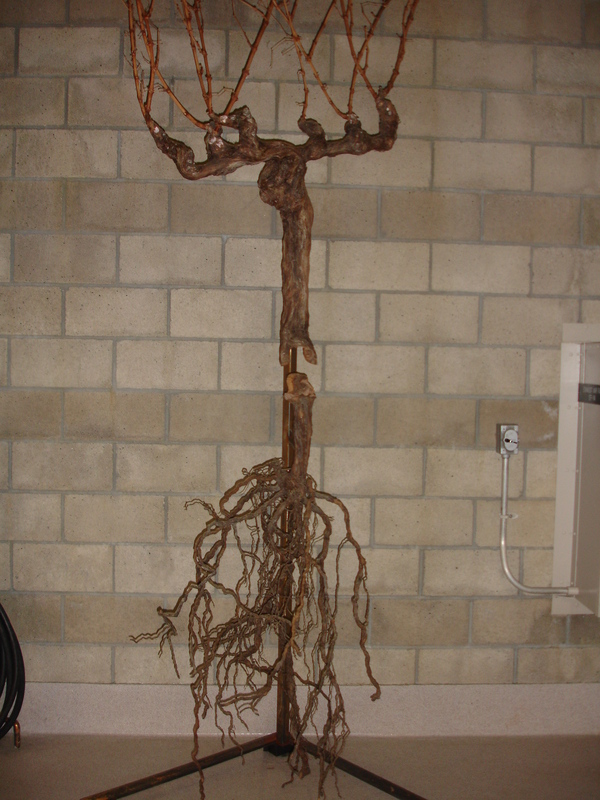 Finally, an American suggested that if they grafted the French vine onto American roots it might have a chance. At first. 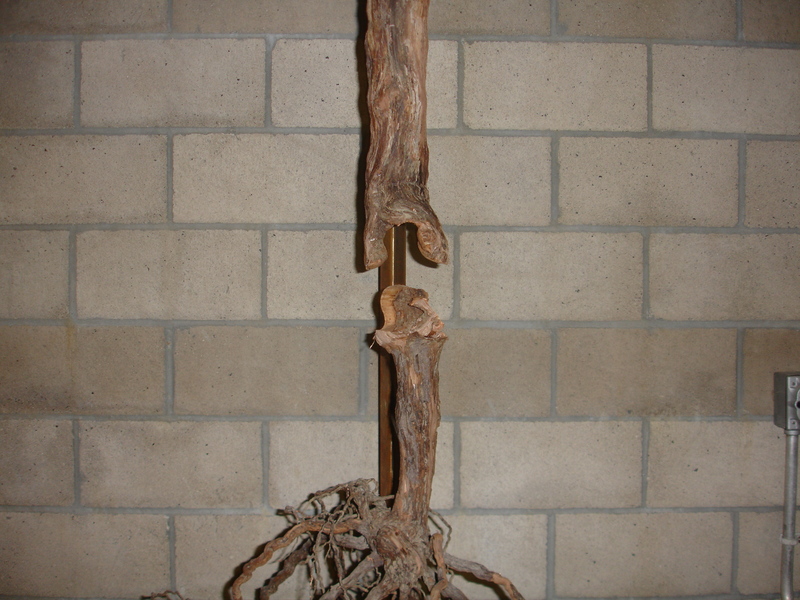 But, because grafting the European variety onto American rootstock proved to be the difference between survival or extinction, it soon became standard practice. Phylloxera turned out to be quite a jet-setter and, in the years that followed, invaded other parts of Europe and traveled to the new world, too, wreaking havoc everywhere they went, including my home, Napa Valley. Today, root stock nurseries do a brisk business grafting the scion and the rootstock together, literally, like puzzle pieces. As long as the varietal doesn’t root, you’re reasonably safe. Phylloxera doesn’t like sandy soil or very high elevations, so there are a few places in the world where they don’t worry about it so much but grafting is very much the norm. These days we can select our rootstock for other attributes, beyond phylloxera resistance, such as high or low vigor or drought resistance. Growing on the slope, you’d select a hybrid that sends the roots down. By the riverside you’d opt, instead, for roots that go out. For the last several decades we’ve neglected the drought-resistant rootstocks that were popular before prohibition. With climate change, it’s time to take another look. In any case, I hope you enjoy the photos as much as I enjoyed seeing this terrific display. It truly affirms that us humans can be very inventive, indeed, when our backs are pushed up to the wall. Cheers! For a free, email subscription go to the top of the page.